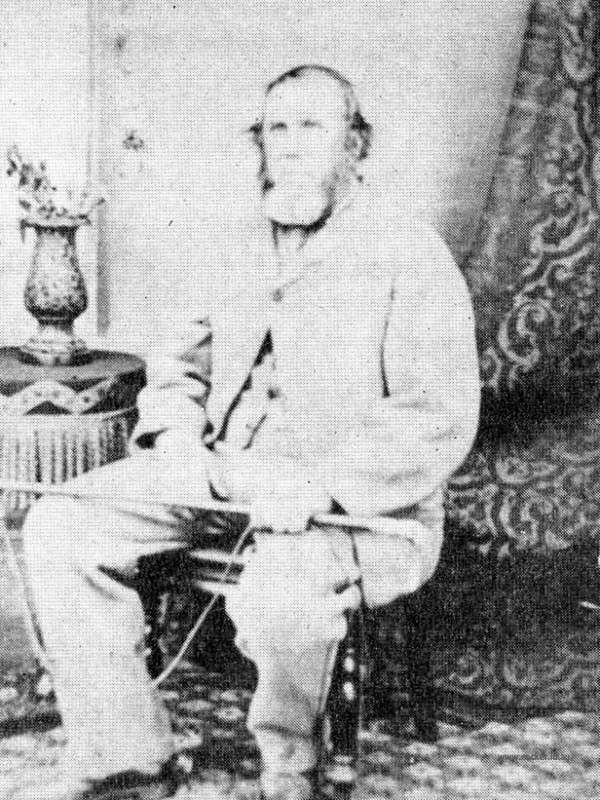 Michael Walker, son of John Walker and Mary Ann Clarke, was born in England on 27 Apr 1813 and baptised on 30 May 1813 in Tottington, Norfolk England. Michael married Sarah Goss, daughter of Thomas Goss and Hannah Burroughs, on 1 Dec 1834 in Tottington. 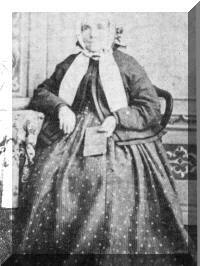 Sarah was born on 14 Jan 1814 and was christened on 5 Jun 1814 in Tottington. William Walker was born on 6 Nov 1835 and died on 4 Dec 1849 at age 14. John Walker was born on 25 Jul 1839 and died in 1841 at age 2. 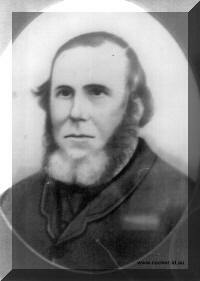 Samuel George Walker was born on 13 Mar 1841 and died on 20 Jan 1912 at age 70. 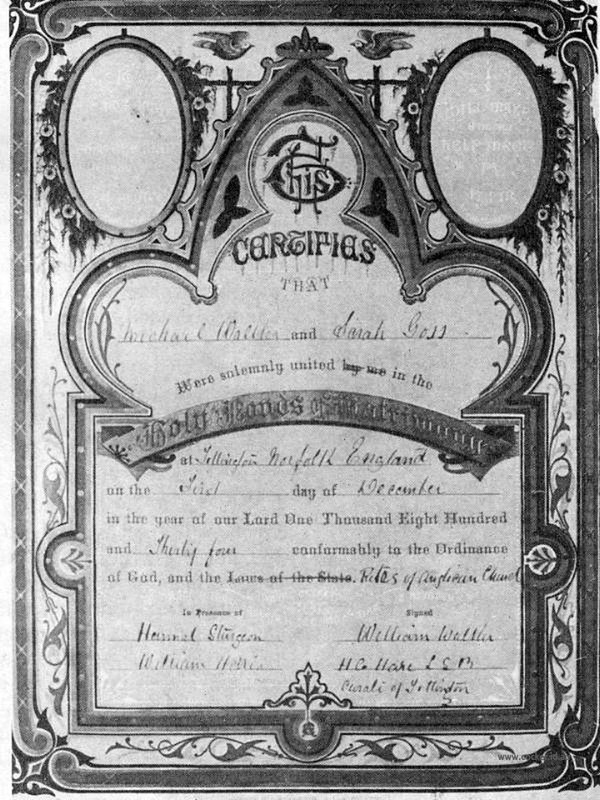 Samuel married Sarah Crawford. 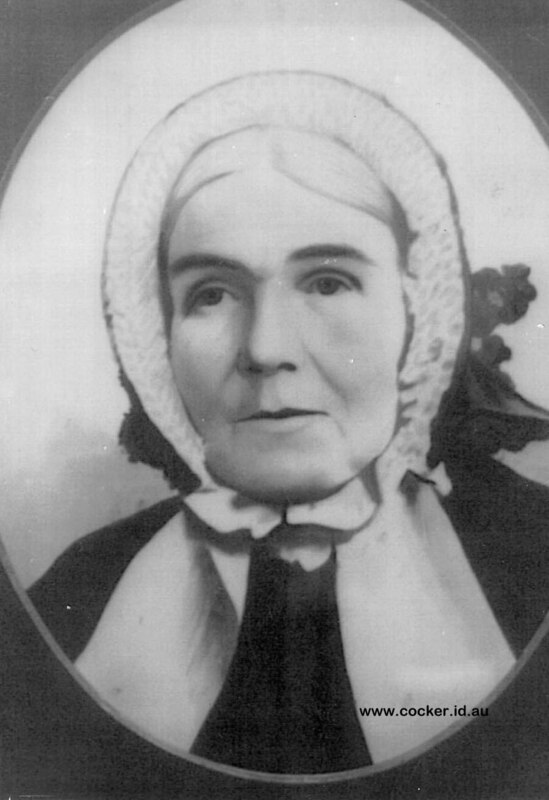 Sarah was born on 15 Mar 1842 and died on 3 Jul 1923 at age 81. They had 13 children: Samuel Francis, Robert Wilson, Ada Adelaide, Agnes Selina, Sarah Anne, Arthur William, Francis Albert James, Isaac Henry Thomas, Annie May, Edgar Oswald, Leslie John, Mildred Mary and Victor Maurice. john Walker was born on 13 Sep 1842 and died on 25 Jan 1909 at age 66. John married Dawes Martha. Dawes was born on 29 Jun 1846 and died on 3 Nov 1925 at age 79. They had five children: Mary, Norman John, Peter, Sylvia Martha and Gladys. Robert Wilson Walker was born on 4 Mar 1844 in Annandale, Perth, died on 29 May 1916 in Devon Hospital at age 72, and was buried in Deloraine. Robert married Louise Frances Gilliam, daughter of James Gillam and Mary Holmes. Louise was born on 1 May 1857 in Westbury, Tasmania and died on 29 Mar 1917 in Exton, Tasmania at age 59. They had 14 children: Martha Sophia, William Samuel, Mary Jane, Amelia, Herbert John, George Arthur, Ethel, Leonard, Edith, Hedley, Bernard Robert, Sarah, Edwin Percy and Mona. Eleanor Walker was born on 2 Aug 1845 and died on 6 Nov 1907 at age 62. Eleanor married William Henry Appleby. They had 14 children: Alma Rachael, Elizabeth Ellen, Jane Ann Joanna Alice, Rhoda Mary, Grace Sophia, Sarah May, Henry George, Ethel Maude, Florence Mary Gould, Leonard Vincent John, Dulcie Beatrice, William Robert, Hubert Thomas Claude and Silvi Mabel. Thomas Walker was born on 8 Feb 1848 in Hagley and died on 2 Dec 1926 in Spring Rises at age 78. Thomas married Rebecca Badcock, daughter of John Badcock and Unknown. Rebecca was born on 10 Aug 1848 in Clover Hill, Glenore and died on 24 Jul 1931 at age 82. They had 13 children: Sarah Ann, Charles Alfred, Emily Jane, Henry Thomas, May Rebecca, Ida Mary, Allan John, Percy Samuel, Florence Elizabeth, Gertrude Amy, Tasman William, Henrietta and Rosalie. Mary Ann Walker was born on 1 Aug 1849, died on 20 Sep 1910 at age 61, and was buried in St. Marys Church of England, Hagley. Mary married Isaac Simeon Richardson, son of Isaac Richardson and Matilda, on 29 Jun 1871. Isaac was born on 2 Sep 1843 in Campbell Town and was buried in St. Marys Church of England, Hagley. They had 11 children: Alfred John, Clarence William, Sarah Matilda, Frank Edmund, Norman Thomas, Albert Edmund, Henry Samuel, Evelyn Louise, Arthur Isaac, Victor and Charlotte Ruby Myrtle. 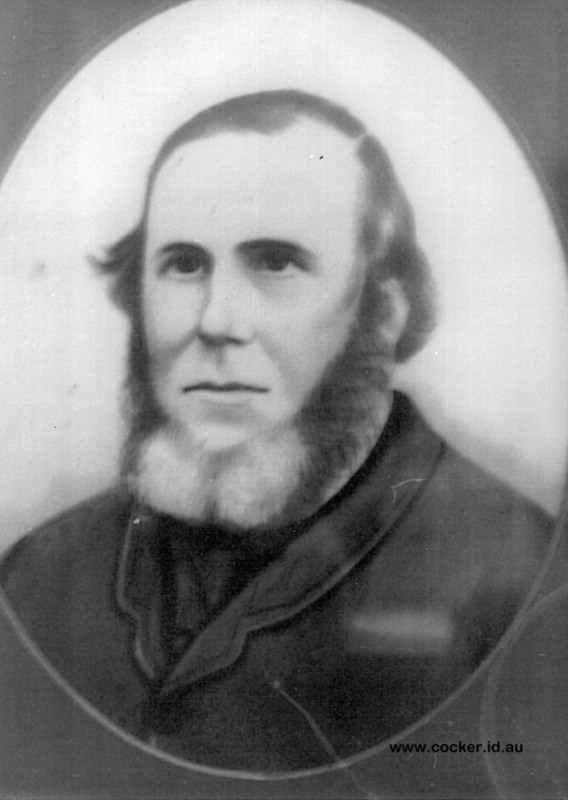 William Walker was born on 8 Dec 1850 in Exton and died on 14 Dec 1904 at age 54. William married Jane Darling Brown on 18 Apr 1873 in Omaston, near Exton. Jane was born on 3 Mar 1850 in Scotland and died on 9 Aug 1918 at age 68. They had ten children: Sarah Margaret, Ernest William, Esther Amy, Frank Henry, Michael Claude, Leslie John, Wilfred, Percy Thomas, Alvin George and Ella Isobell. 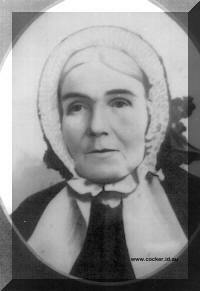 Sarah Ann Walker was born on 13 Jul 1852 and died on 29 Aug 1926 at age 74. Sarah married Henry Dobson, son of William Dobson and Anne Richardson, on 29 Jun 1871 in Home of Michael Walker. Henry was born on 4 Jul 1841 in Snaith, Yorkshire and died on 13 Aug 1920 at age 79. They had 15 children: George Edward, Samuel Hildreth, Alexander John, Walter Thomas, William Michael Henry, Lillias May, Stephen Peter, Ethel Ann, Mabel Ann, Louis Robert, Ada Mary, Henry Arthur, Leila Florence, Myrtle Sarah and Bazil. Elizabeth Walker was born on 1 Jul 1853 and died on 10 Oct 1917 at age 64. Elizabeth married Samuel Goss, son of John Goss and Ann Ayers. Samuel was born on 15 Sep 1855 in Westbury and died on 23 Sep 1946 at age 91. They had ten children: Olive Anne, Francis Michael, Ethel Elizabeth, Hector Samuel, Henry Herbert, Arthur Aernest, Lambert Gordon, George William, Alfred James and Ruby May. Martha Walker was born on 12 Nov 1854 in Hagley and died on 6 Dec 1939 in Deloraine at age 85. Martha married James Harvey, son of Unknown and Unknown, on 27 Apr 1885 in Exton. James was born on 1 Jan 1855 in Scotland and died on 1 Jul 1933 in Deloraine at age 78. They had ten children: Margaret Elizabeth, Sarah Jane (Jean), Rosa May, Maida Lillian, Ella Mary, James Francis (Frank), Nellie, Percy Alexander, Edward Thomas and Edith Florence. Michael Walker was born on 8 Jun 1856 in Exton and died on 28 Mar 1945 at age 88. Michael married Charlotte Pugh in 1854 in Launceston. Charlotte was born on 5 Apr 1854 and died on 9 Feb 1942 at age 87. They had six children: Melbourn, Linda May, Osmond Christmas, Andrew Thomas, Olive Eve and Alma Rachael. Sarah died on 3 Dec 1888 in Exton at age 74, and was buried in Westbury. Michael then married Mary Patfield on 8 Jan 1890 in Westbury. Mary died in Exton. Michael next married Margaretta Foot, daughter of Thomas Sandell Foot and Elizabeth Ridout, on 18 Mar 1893 in Westbury, Tasmania. Margaretta was christened on 16 Dec 1829 in Sixpenny Handley, Dorset, England, died on 23 Dec 1906 at age 77, and was buried in Perth. This web site follows on from the book, A Goodly Heritage, which was a natural outcome of the Michael and Sarah Walker family reunion of 1985. 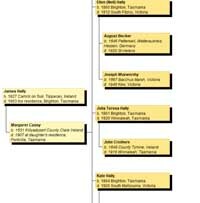 It traces the growth of the family they established in Tasmania from 1842. Towards the end of 1854 the family moved to Exton, where Michael spent the remaining forty-six years of his life. He rented Ti-tree Farm, which was part of the Rev. Samuel Martin's estate, and on 8 June 1856, Michael and Sarah's last child, Michael, was born at Exton. 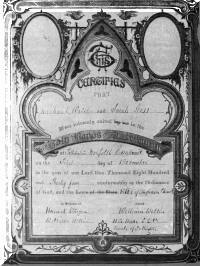 Their first grandchild, Samuel Francis Walker, was born at Exton on 29th September, 1862.